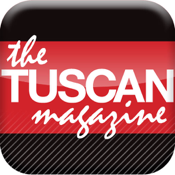 A magazine for anyone who loves Italy and Tuscany. Features on Italian lifestyle, food, culture & places. Restaurant reviews, wine column, authentic recipes, what’s on, where to stay, best shopping and much more. Essential reading for anyone visiting or living in Italy’s most famous region.